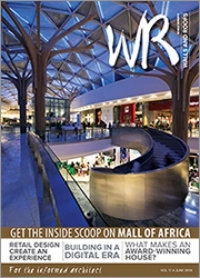 As Africa’s leading specialist walling and roofing magazine, WALLS & ROOFS gives advertisers distinct exposure advantages tailored to meet individual client needs through innovative, editorial excellence and design and information integrity. 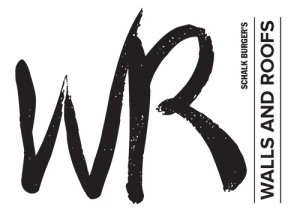 With one of the best teams in the business, WALLS & ROOFS produces the most effective, market-leading publication in the industry which narrows the gap between service provider and client. WALLS & ROOFS aims to bring the solution to the specifier, negating the need for them to spend valuable time sourcing it themselves. The publication is a well respected industry authority which architects and specifiers regularly refer to as a source of reliable information. 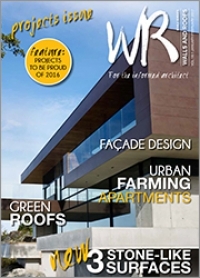 Regarded as knowledgeable, informative, newsworthy and in touch with the latest local and international trends and technologies, WALL & ROOFS is a sounding board for new concepts providing compulsive reading for the industry professional. WALLS & ROOFS’s dedication to assisting client with product/solution definitions sees them communicate distinctive product competence to ensure that prospective clients fully understand the need for and benefits of a specific solution. Since its inception in 2000, WALLS & ROOFS’ news, technical information i.e. 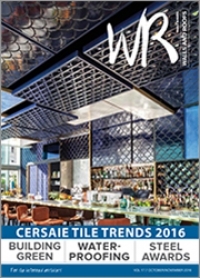 need for and trend-setting feature articles have set an industry benchmark that features highly technical topics such as façade hardware, fire specification, plaster and installation techniques. With the whole spectrum of walling and roofing materials featured in every issue, from concrete bricks and blocks, to insulation, tiles and roofing, WALLS & ROOFS is a comprehensive specification solution. 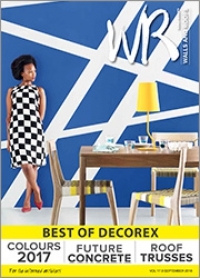 As a member of the dynamic Media in Africa Group, scheduling WALLS & ROOFS when planning your advertising campaign will ensure your product information is read extensively by Architects, Quantity Surveyors, Interior designers, Interior decorators, Specifiers, Corporate Buyers, Property developers, Facility Managers, Building Contractors and Commercial Cleaning Specialists, with most of these readers regarding the magazine as their primary information source and reference point. For a shortcut to the specifier, the popularity and effectiveness of WALLS & ROOFS in bringing your product to the attention of the right people has been uncompromisingly proven. 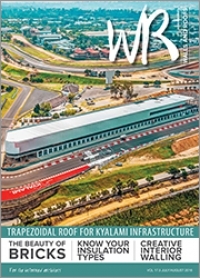 WALLS & ROOFS IN AFRICA is also available for touchscreen devices, Android Devices, iPad, iPhones, laptops and desktops. Visit www.freemagazines.co.za to download your free copy!